Eight years ago today on June 25th, 2009 the King of Pop, Michael Jackson tragically passed away amidst preparations for what was to be his final concert tour, This Is It. For fans the world over, the pain still lingers… Each year we come together on this day to remember, honour and reflect on the magical life that was Michael Jackson’s and the love and timeless art he gave to the world. This year, hosts Q and Jason Garcia are lucky enough to be joined by two special guests for The MJCast’s 2017 June 25th episode. 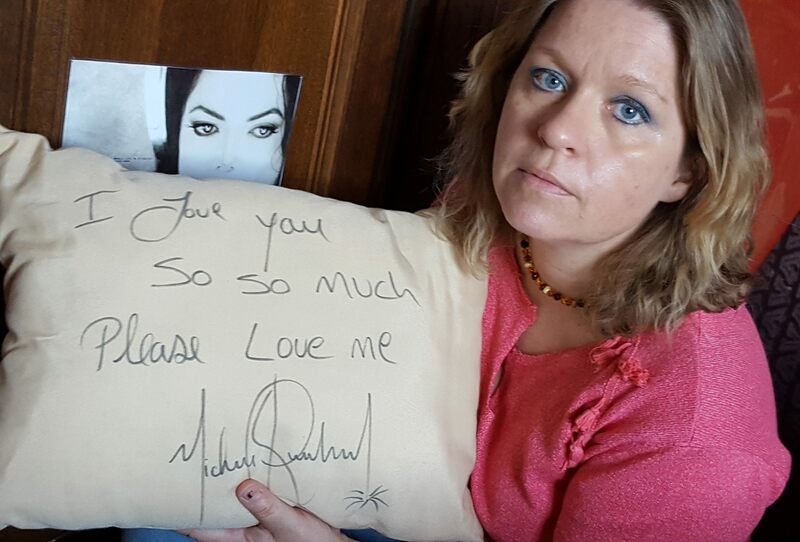 Being renowned authors, passionate Michael Jackson scholars, event organisers and…how could we forget…French, our two guests have so much in common that this episode can’t help but be a positive and heart warming reflection on Michael’s life. Isabelle Petitjean, a classically-trained musician and a teacher of music, is a university academic specializing in Afro-American popular music and particularly in the work of Michael Jackson. She holds a master’s degree and a research mastership in musicology, and is currently preparing a doctorate on Michael Jackson at the University of Paris IV – Paris Sorbonne. 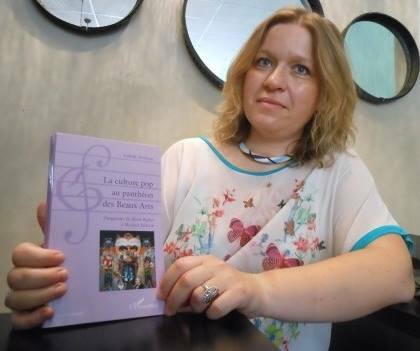 She has written multiple books on Michael Jackson including Dangerous: From Mark Ryden to Michael Jackson – Pop Culture in the Pantheon of Fine Arts and Michael Jackson: il état une voix. Brice Najar is the author of three books about Michael Jackson’s music. The first tackles the subject of his solo discography, through his singles released between 1979 and 2008. The second discusses the albums he recorded with The Jacksons from 1976 to 1989. Both books can be read independently but also compliment one another. In his latest work, Let’s Make HIStory, Brice offers a collection of interviews with some of Michael’s key collaborators for his 1995 epic double album of the same name. In addition to being authors in their own right, Brice and Isabelle have joined forces to put together Association On The Line. 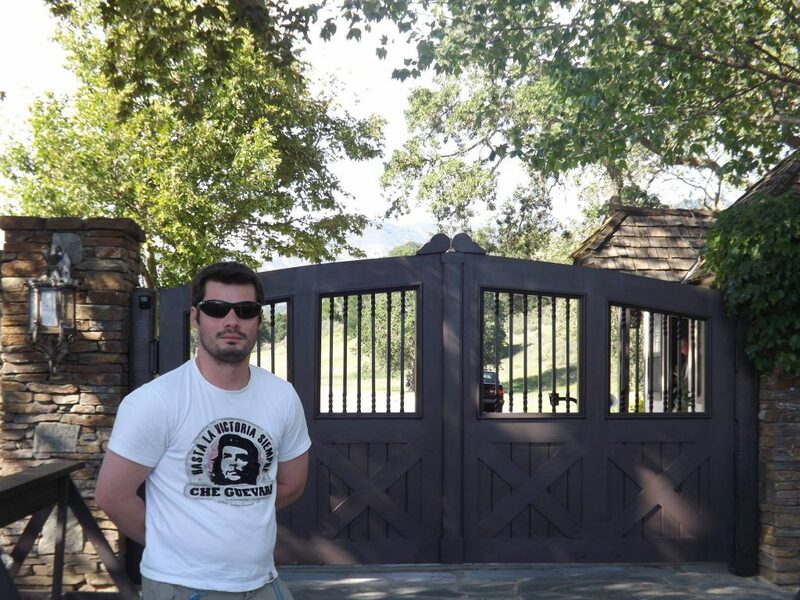 A group that’s organising unique and unmissable Michael Jackson related events. 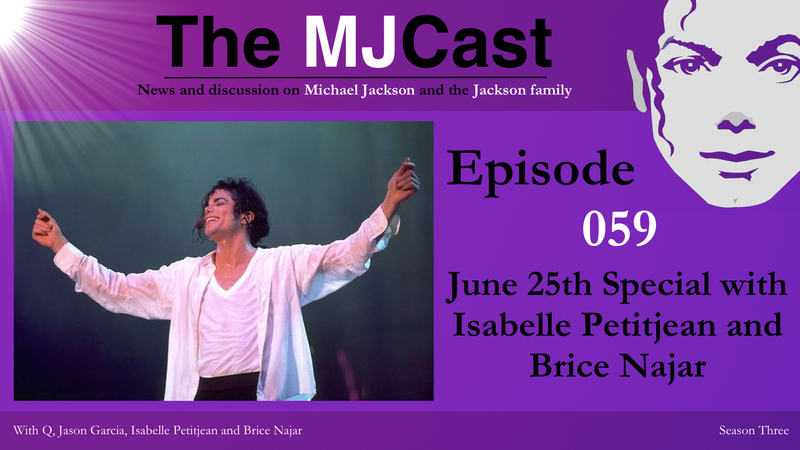 For its very first occasion, MJ Music Day, Brice and Isabelle are presenting an opportunity to meet musical director Brad Buxer and sound engineer Michael Prince who were both close collaborative partners and friends with the King of Pop. This exceptional and first-of-its-kind visit in France will lead attendees through Michael Jackson’s music at its most intimate and will offer plenty of unique anecdotes about his songs, personality and life. Guests will also experience the HIStory World Tour from behind-the-scenes and discover the secrets of the Jackson sound with the exclusive preview of King of Sound, a documentary by Gareth Maynard about Bruce Swedien. More than a master-class or a conference, this will be a genuine opportunity to share a friendly moment and talk to those men who were very special to Michael Jackson. 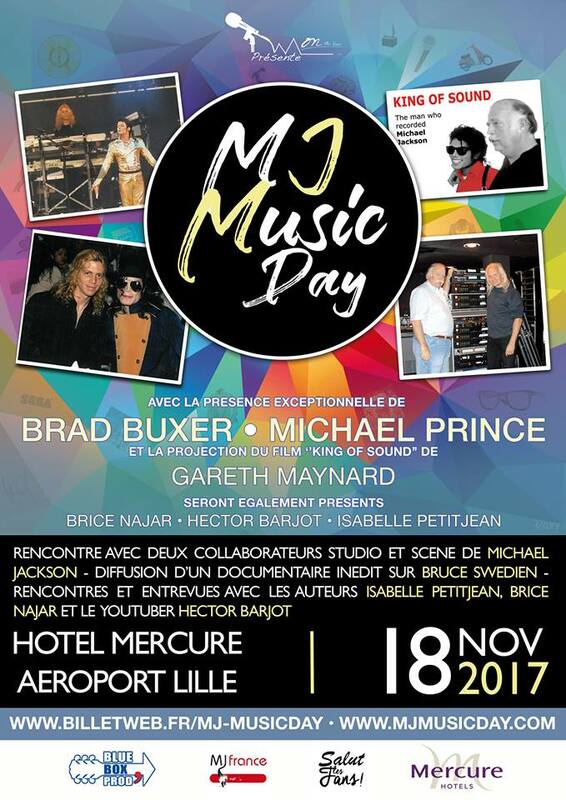 Brice Najar, Isabelle Petitjean and fellow prominent French MJ fan Hector Barjot will also be there along with other Jackson exhibitors. Later in the episode, listener submissions are played around how Michael should be remembered. Thank-you to all contributors who submitted audio. For fans who are struggling during this time of year, we hope this episode acts as a way for you to connect with other MJ fans around the world. In this episode there are moments of joy and moments of sadness, but through it all, remember that we are all fans of Michael. We will carry on his message of love and positivity as a way of honouring his memory and everything that he gave to the world. Together we will Michael on! Isabelle Petitjean’s Facebook, Instagram and Twitter pages. Brice Najar’s website, Facebook and Twitter pages.